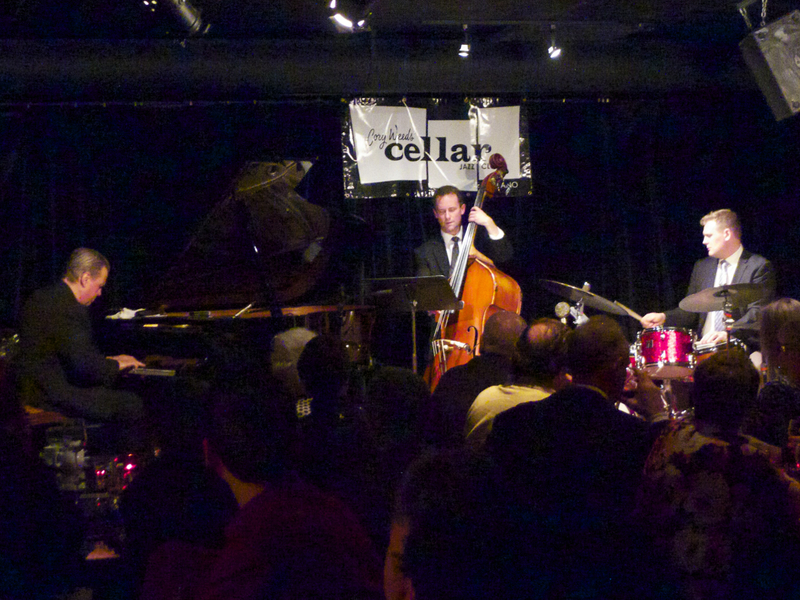 I had a fabulous time this weekend playing trio with the great NY pianist David Hazeltine, and Jesse Cahill on drums. I have a few of David’s trio records as well as a few others with him playing in larger ensembles, notably the terrific group One For All. Everyone in that group sounds fantastic. Many of David’s recordings feature Peter Washington on bass, who is one of my very favourite bassists on the planet. We played quite a few of David’s beautiful originals, as well as some really good arrangements of standards. I was pleased that David was such a nice guy, and that he sent both charts and recordings ahead for us to look at and play along with to prepare. I love that. It really makes it go so much more smoothly, and allows for me to get past some of the reading and deeper into the music. All in all, a fun time.